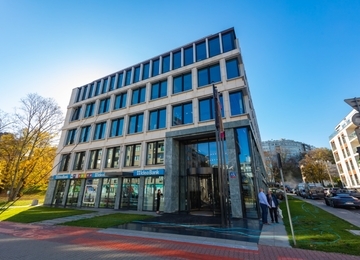 International Business Center A is one of two buildings belonging to the office complex. 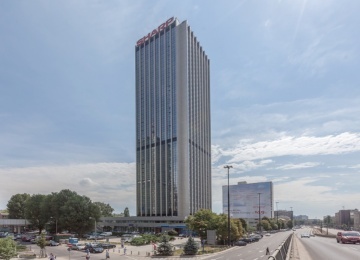 This 11-storey building offers approx. 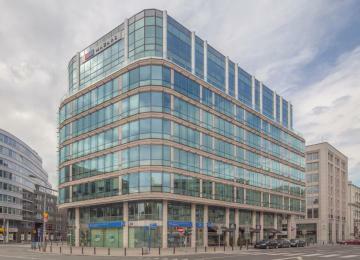 16,200 sq m of rentable office space. 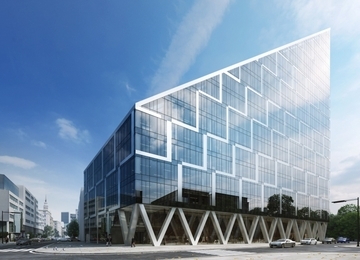 On three underground levels are located 141 parking spaces available for employees and clients. 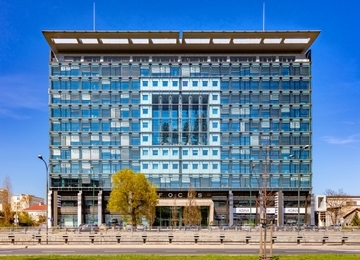 The flexible floor layout allows effective office arrangement both for “open space” plan or cellular layout or a combination of thereof. 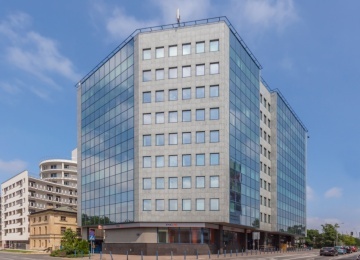 Offices are equipped with raised floors, structural cabling, suspended ceilings, adjustable air conditioning, smoke detectors and sprinklers among others. 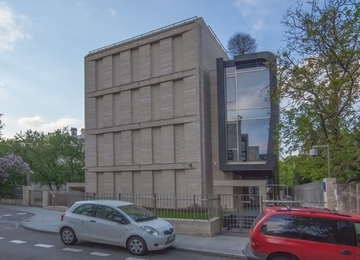 The interior is finished with materials of the highest quality including granite and sandstone. 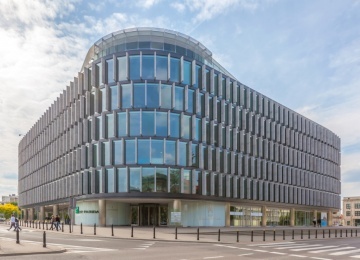 The glass façade assures a steady flow of natural light and panoramic view over green park Pole Mokotowskie. 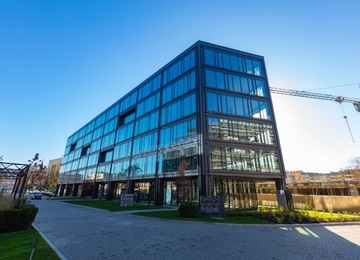 Thanks to the abovementioned features the building provides safe, pleasant and comfortable working environment. International Business Center A is located in Warsaw city center, in convenient communication point, near Jazdy Polskiej Roundabout. 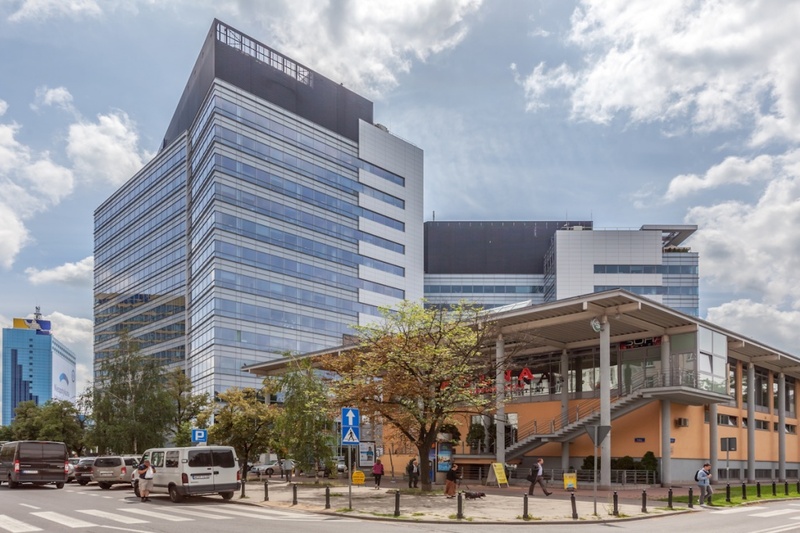 Next to the buildings entrance there is Politechnika metro station. 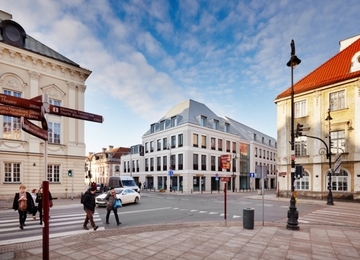 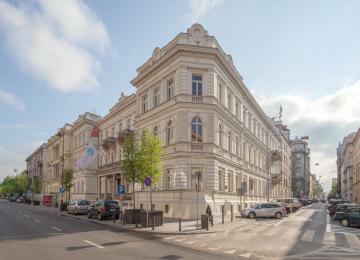 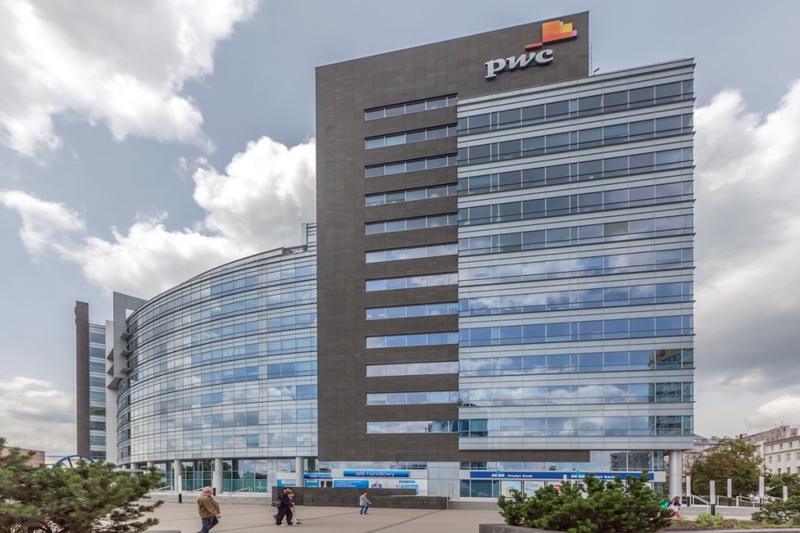 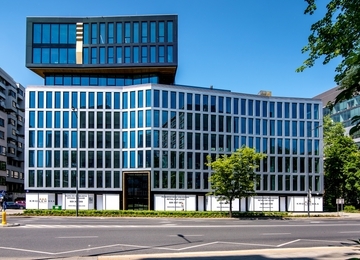 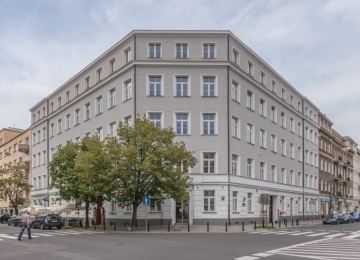 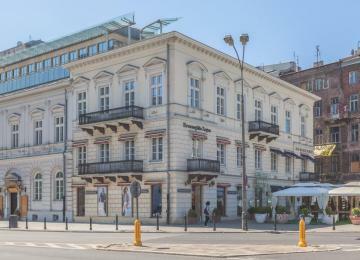 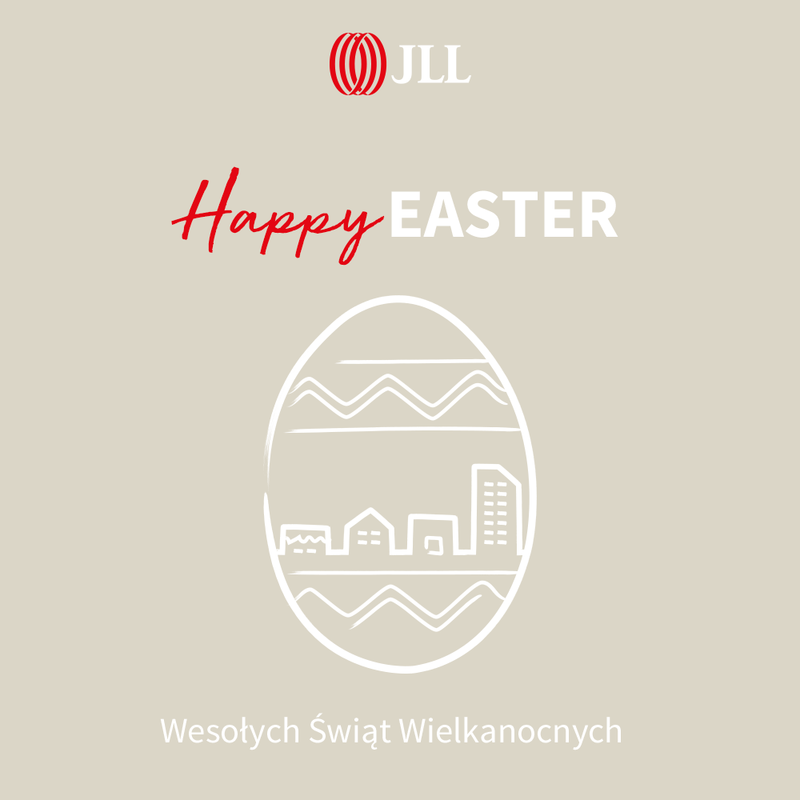 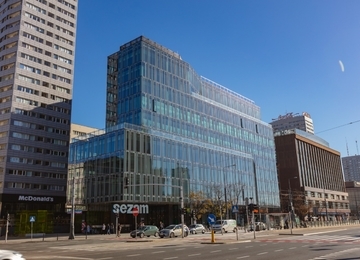 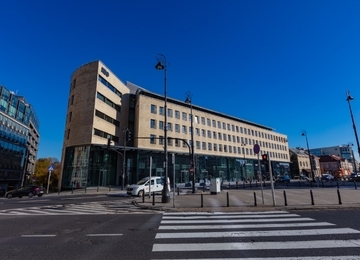 Thanks to the proximity of Kaczyńskiego Street, the building has an excellent connection with the districts of the right bank Warsaw. 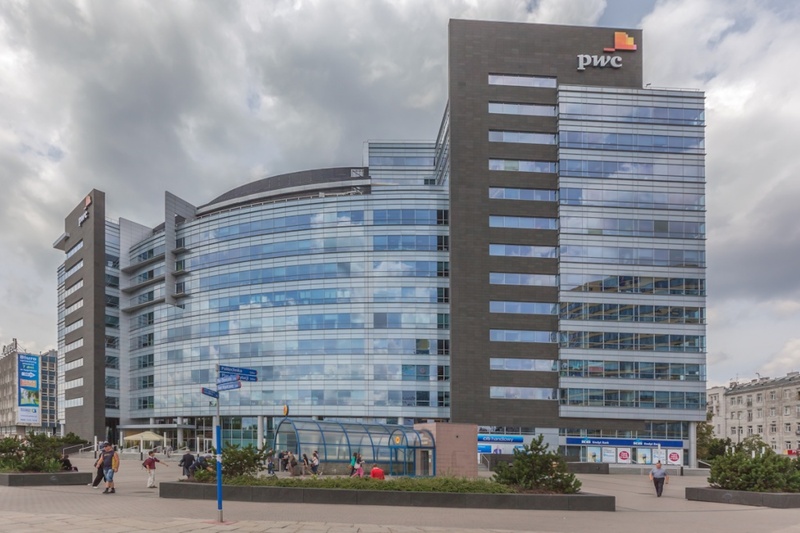 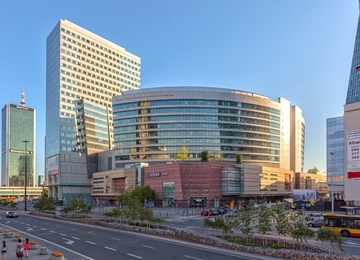 Its location provides quick and easy access to the International Airport, Central Train Station and all main roads not only by private but also public transport (buses, trams, metro).